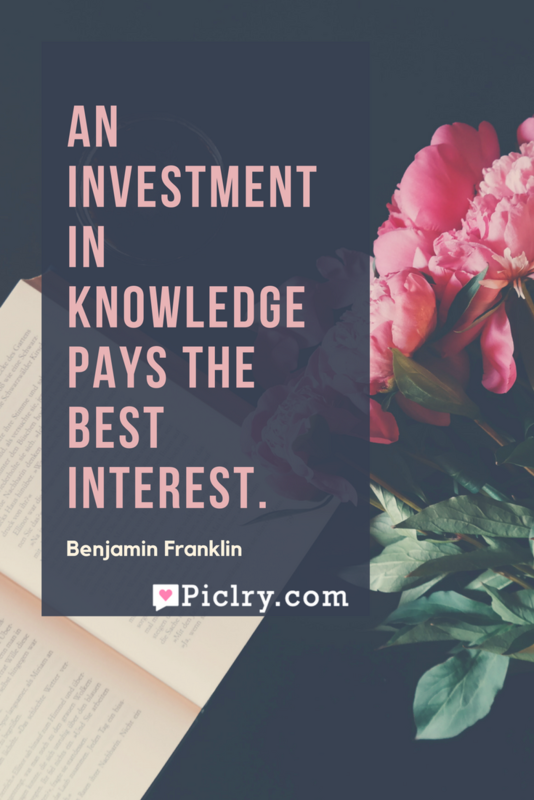 Meaning of An investment in knowledge pays the best interest Quote by Benjamin Franklin. Knowledge plays a vital role in shaping our life. It is an ever going process and it does not stop even when you have come to the end of your education life. The most successful people are always seeking more knowledge. They indulge in reading and gaining more knowledge every day. According to Jim Rohn, a speaker on self development, formal education opens the way for living but self education takes you to the fortune. Investing a little of time, effort and money in knowledge gives you a better insight of things. Knowledge makes you able to take better decisions. So, always keep educating yourself. Read as much as you can, learn new things and gain experience from experiences of others. The investment you make in gaining knowledge will pay you off in time. Just don’t keep collecting knowledge, use it if you want to gain something from it. Unused knowledge is of no good.